Lucky’s Market cofounders, Trish and Bo Sharon. The store was a mess -- the very picture of how not to sell food. The aesthetic was drab. The vibe, absent. In one area, pickles, marshmallows and wrapping paper were stocked side by side; Trish Sharon liked to call it the pregnancy aisle. But she and her husband, Bo, kept harping on the bananas: They somehow seemed the saddest of all specimens, just slapped down on a table with rough patches of AstroTurf. It was the cardinal sin of not honoring one’s ingredients, of treating fruit as a simple fuel source. Bo is always quick with a joke, and he lay down across the banana table, posing like a slab of apple-stuffed meat. His wife laughed. “It was like, ‘Who in their right mind would shop here?’” Trish says. It was their job to answer that question. This was 2002. The Sharons were in their early 20s and facing their future in every possible way. The young couple were engaged to be married and had been handed the keys to the family business -- the North Boulder Market, this mess of a place in Boulder, Colo., which Trish’s uncle and father had run for a decade. Now Trish and Bo were tasked with making it a more viable business. There were, to be sure, many ways that could go wrong. Today, 14 years later, shoppers across the country have never heard of North Boulder Market. But many know its new name, which the Sharons gave it: Lucky’s Market. 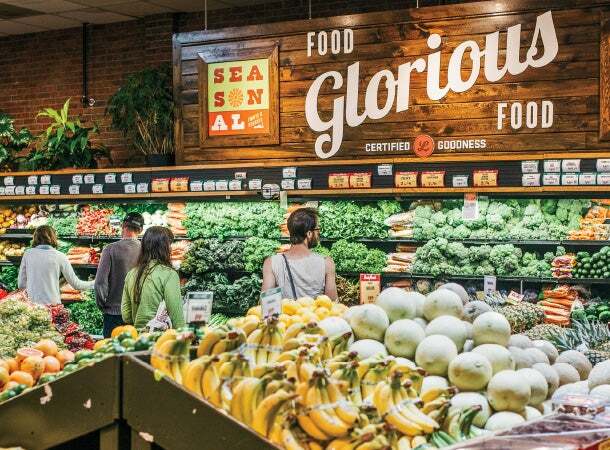 The supermarket chain has become a beloved institution throughout the South and the Midwest, where it has 17 locations across 11 states, another seven slated to open this year and plans for many more to come. The place is modeled after a farmers’ market, with a wide-open entranceway, neatly stacked produce that spills onto the sidewalks in the warm summer months and a folksy maze of barrels, crates and bins. Employees wear name tags that include conversation-starting personal information, and are trained to talk serious food -- suggesting how to properly season and sear a Piedmontese steak, say, or handing over generously sized samples of Lucky’s scratch-made fare, such as cauliflower salad, chicken sausage or dill caper salmon cakes. A “Sip and Stroll” program encourages thirsty customers to walk the aisles while downing $2 craft beer drafts (where local law allows, of course). Each store can develop its own personality, from the local brands it stocks to the in-house entertainment: The Iowa City location, for example, has a shuffleboard table and vintage Pac-Man machines, and others offer adult coloring books, free movie screenings and piping-hot-pizza specials. Customers have been known to turn their grocery run into a date night. Those traditional supermarkets are taking notice. 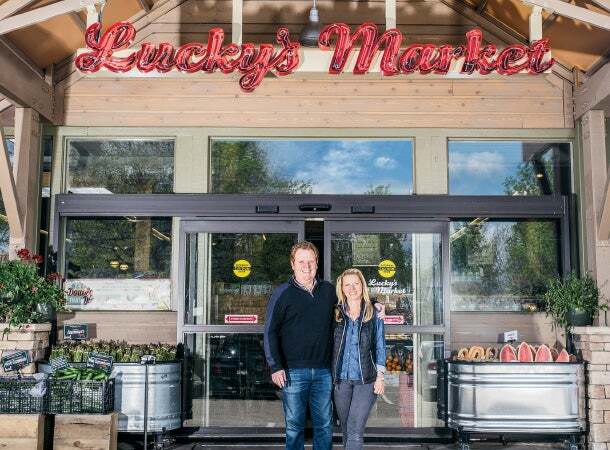 Kroger’s, the 2,700-store giant, made what it calls a “meaningful investment” in Lucky’s earlier this year, which will help the upstart chain expand even faster. In Florida, where Lucky’s has three stores, the Broward-Palm Beach New Times published a piece called “Ten Reasons Lucky’s Market Is Better Than Publix.” (Reason number nine: “Lucky’s makes its own bacon that makes Boar’s Head look like Oscar Meyer”). And Whole Foods is surely on edge: It’s currently launching a new store called 365 to appeal to younger, cost-conscious shoppers, but Lucky’s has already beat them to the market. Back in 2002, though, the Sharons’ ambitions were far smaller. They just knew their little market was ugly and wanted to make it inviting -- fast. The walls were an insipid shade of white, made worse by severe lighting. Money and time were tight, so instead of wasting either by securing proper work permits, the couple bought cans of paint and then raced the clock after hours. That guiding principle -- make it fun, and embrace the personal touch -- would carry Lucky’s a long way. “The whole side of the house was charred,” she says. “I should have known then to run.” But Bo impressed her with dinner: roasted quail slicked with a sour cherry sauce, paired with fresh tagliatelle and cracked pepper. All of it was cooked better than the house. “We haven’t spent more than a few days apart since,” Bo says. most of their retail equipment secondhand -- trekking out to the back alleys of train depots and who-knows-where to get ovens, display cases and even shelves. Eventually, the Sharons hit upon the insight that would differentiate them from the crowd: They cannot be one kind of store. 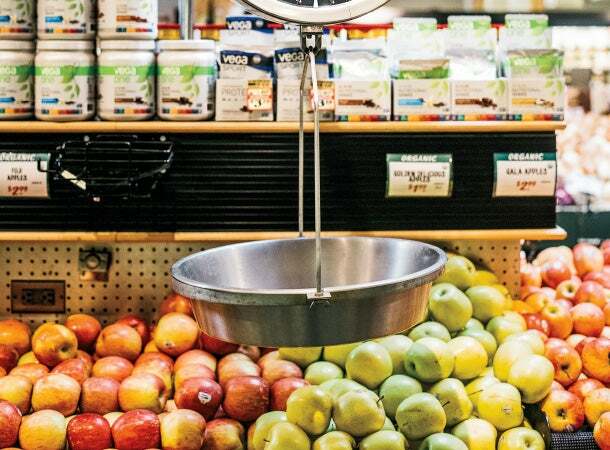 Many of the Boulder-based chains grew directly out of the organic food movement and had strict philosophies on what they carry and what their customers expect. But that could turn off a customer who, say, wants organic peanut butter but also wishes they could find some damn Heinz ketchup. The North Boulder Market would solve this by cramming several disparate shopping experiences under one roof -- a farmers’ market, a natural food store and a corner bodega. Within a year, they’d renamed their store Lucky’s Market. For the next five years -- “five long years,” Bo stresses -- they fine-tuned the business model. They gave themselves a tagline, “Organic for the 99 Percent,” and a mission to offer high-end fare at affordable costs. 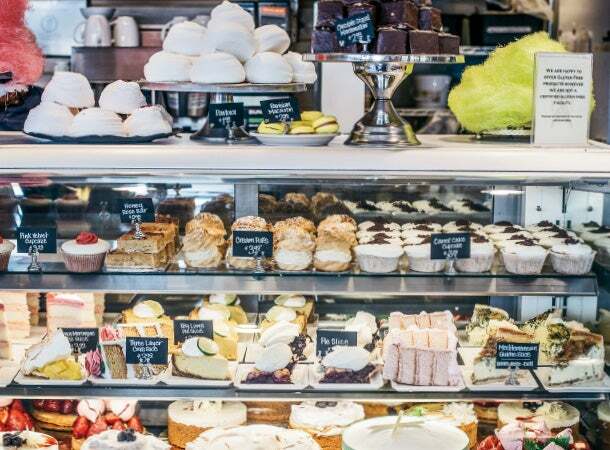 They discovered it was possible if they dealt with most vendors directly, rather than through distributors, and sold perishables at such a low margin that they’d fly off the shelves, therefore lessening the amount of waste other stores dealt with. Ten years after they bought the market, Lucky’s finally felt stable. In 2013, they opened their second location, in Longmont, Colo. The third came two months later, in Columbus, Ohio. Four more came in 2014, and seven in 2015. And they’re just getting started. There are many stories like this -- of handshake deals and operating on gut. But Bo says that misses the underlying strategy. “I don’t find us to be chill; we just are who we are,” he says. We’re talking in Lucky’s corporate office, a place that doesn’t exactly serve as a counterargument against “chill.” Almost everyone here, Trish and Bo included, looks like they walked out of a REI catalog; fleece jackets are practically a uniform. The receptionist’s desk is a reclaimed checkout stand. There’s a Ping-Pong table in the corner, though not out of some conscious effort to emulate Silicon Valley–style offices; it’s just a gift Bo’s mom bought for him and Trish (and their two kids, ages 11 and 5), but it didn’t fit in their house. We just are who we are. That’s not an especially prescriptive policy, but its core is unmistakable. Lucky’s has a cohesive vision -- something customers feel connected to -- because its identity is not filtered through marketing studies and focus groups. Longtime Lucky’s employees have a theory of where this comes from: The Sharons were recent graduates when they took over the market, and their goofy enthusiasm and desires became crystallized as corporate culture. What kid, fresh out of college, doesn’t want to drink beer while shopping for salsa and snacks? Even the labels on Lucky’s private-label goods are extensions of that vision: Bo writes much of the copy himself, and gives them witty names like Ground Control to Major Mustard and It’s Just Oregano, Officer. This from-the-gut attitude attracts loyal customers, but it has another benefit as well: It lures talent away from larger competitors. Lucky’s staff is full of people who put in years at larger grocery chains. Marketing VP Ben Friedland, for example, was previously Whole Foods’ marketing director for the Rocky Mountain region. Trish and Bo won him over with hummus and carrots at a business meeting on their back porch. Boulder store director/general manager Tim Overlie has been in the natural foods business since 1978, serving many years in management roles at Alfalfa’s and Wild Oats. He plans on retiring at Lucky’s. Other industry vets include Lucky’s CFO (Andy Pillari, formerly of Quiznos and Smashburger), COO (Scott North of Sprouts Farmers Market), president (Steve Black of Sprouts) and chief merchandising officer (Peter Gialantzis of Whole Foods). And so, Lucky’s is now heavily focused on growth. New locations are being built, finalized or opened in South Boulder, Colo.; Traverse City, Mich.; and Florida, where five new Lucky’s will spring up across the state. 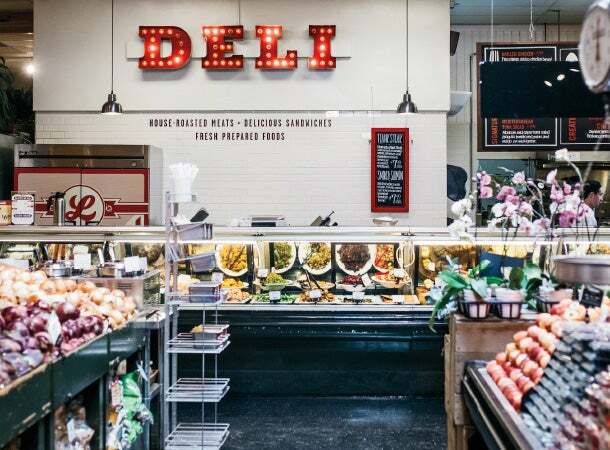 The locations speak to Lucky’s strategy of, once again, doing things differently than other grocery stores. Whole Foods and its ilk have largely pursued more affluent regions, where shoppers are primed to value organic food and pay its high price. But Lucky’s 24 locations are elsewhere, in places where the brand can be viewed as a trailblazer. And with that comes a different kind of Lucky’s customer: the competition. Gulizia has been working with the Sharons since that paint job. Now he’s one of Lucky’s top product managers. The way he figures, why go anywhere else?